We are delighted to welcome back Master Calligrapher Dr Nassar Mansour to give a week-long course on Squared Kufic Script at The Prince’s School of Traditional Arts. This monumental script was developed in the 13th century. It was the most popular style used in the architecture of Central Asia, Iran, and Afghanistan. The character designs were made in square forms with black lines interspersed with white, using the same system found on a chessboard. The course will introduce students to Squared Kufic Script with a historical development of the style in manuscripts and buildings. At the beginning of the course, students will learn the basic methods that are essential for writing Kufic letters, and by the end, each participant will produce a final piece in Kufic. Please note, whilst this course will be taught in English, a basic knowledge of the Arabic alphabet would be helpful. We are thrilled to support this course to help expand Asian arts courses at The School. Dr Mansour is one of the most accomplished contemporary calligraphers in the Arab world. After studying Islamic Studies and Economics at the University of Jordan, he turned to Islamic art and calligraphy and in 2003 received a calligraphy diploma (ijaza) from the renowned Turkish master Hassan Çelebi. His PhD from The Prince’s School of Traditional Arts was dedicated to Muhaqqaq script and contributed to the revival of the script. 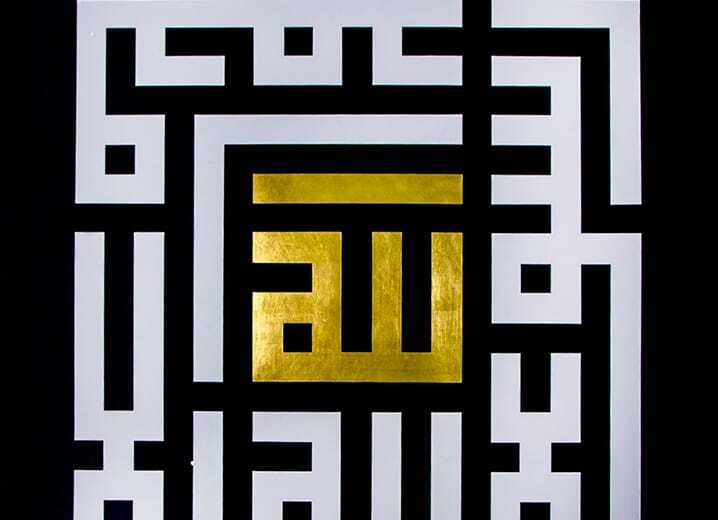 Nassar has exhibited his calligraphies widely and lectures on Arabic Calligraphy and Islamic Arts History for the Institute of Islamic Arts and Architecture and the World Islamic Sciences and Education, Amman.